When I came across the site for the Toronto Urban Film Festival in June 2008, I knew instantly that I wanted to try and make something to submit. The guidelines for the festival stated that the project was to be exactly 60 seconds long with no audio, and was to fit into one of their categories pertaining to the various ways people live in urban environments. I settled on the 'urban travels' category and came up with an experimental short that played on the patterns of rush hour traffic in a single intersection. By dividing, or split screening, my footage I created my initial pattern. Then I replicated that image several times to create the grid, and the sped up depth of movement mixed with the variety of colourful vehicles created the geometric illusion of a kaleidoscope - or one of those computer generated 3D prints. My film wasn't selected to take part in the festival that September, but I can understand why. The selected films ran in repetition for a week on the Toronto subway platforms. Those screens aren't that big to begin with, and my short is tough enough to make out when it's right in front of you. Plus, those that were selected were very deserving in my book (and based on the awards ceremony, they seemed keen on rewarding people from Toronto so people would actually show up). In any case, Car Kaleidoscope was certainly worth while as it proved to be enough motivation to try out several other split screen experiments that summer/fall. For as seemingly simple as this experiment was, a lot of trial and error went into the effect. Even if you've never been into experimental film, I feel like there's something very relaxing and cathartic about getting lost in the pattern. 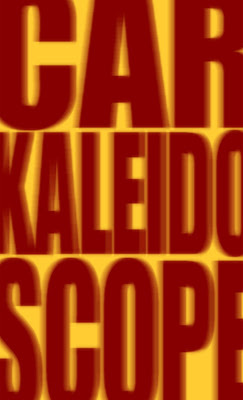 This version of Car Kaleidoscope is obviously different than the one I submitted to TUFF as a soundtrack and titles have been added, and I've repeated the footage for longer than the original 60 seconds. To fully appreciate this short it has to be viewed in high quality to make out the images. If you watch it from my blog be sure to click the HQ tag after you press play, or better yet, double click on the video and watch it in larger HD quality from my YouTube channel. Thanks for checking out the experiment!